New Avant Toi Fall/Winter 2017 is available online and in store at both Santa Fe Dry Goods & Workshop. 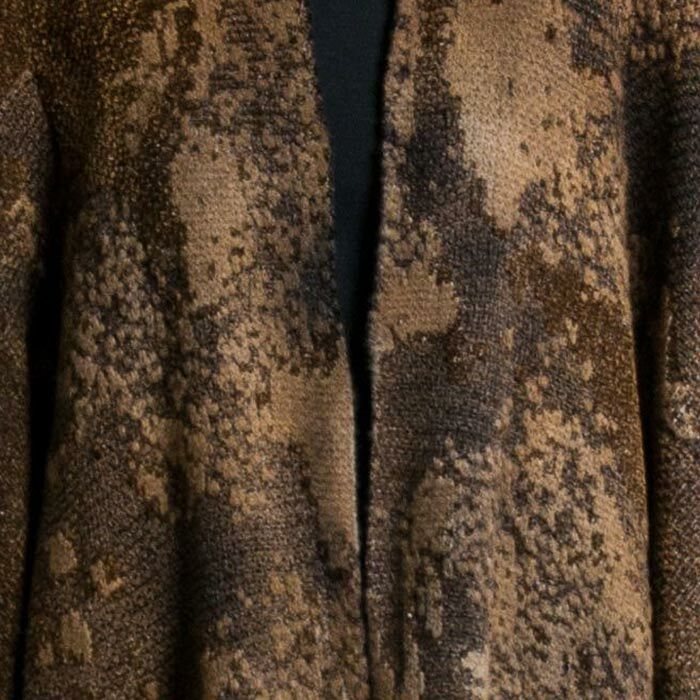 The season offers exciting and intriguing textures in their distinctive luxury knitwear. The vision was inspired by macro and micro perspective of the world as a whole. 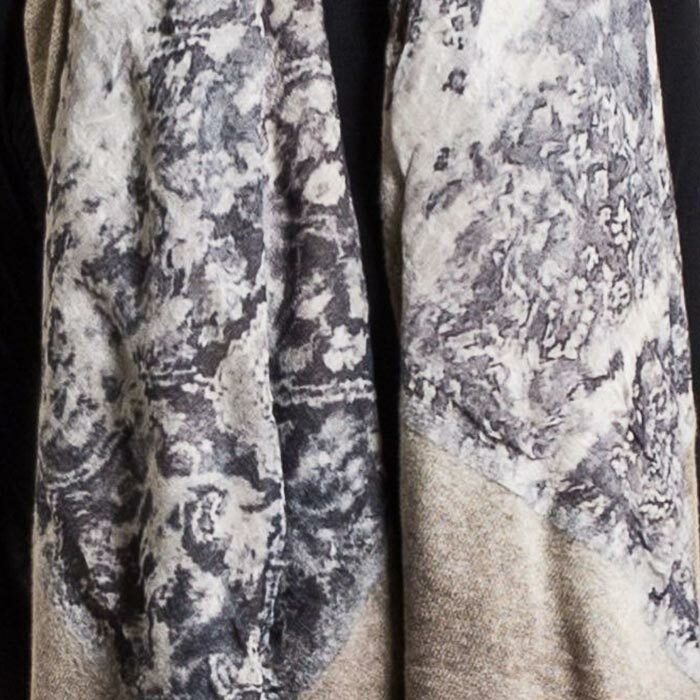 Avant Toi is known for artistic, urban, and avant-garde dye treatment of luxe materials such as cashmere and silk. This season offers their rich depth and colors of blues, reds, greens, and earthy browns. While pieces are monochromatic, they remain dimensional, versatile, and elegant. 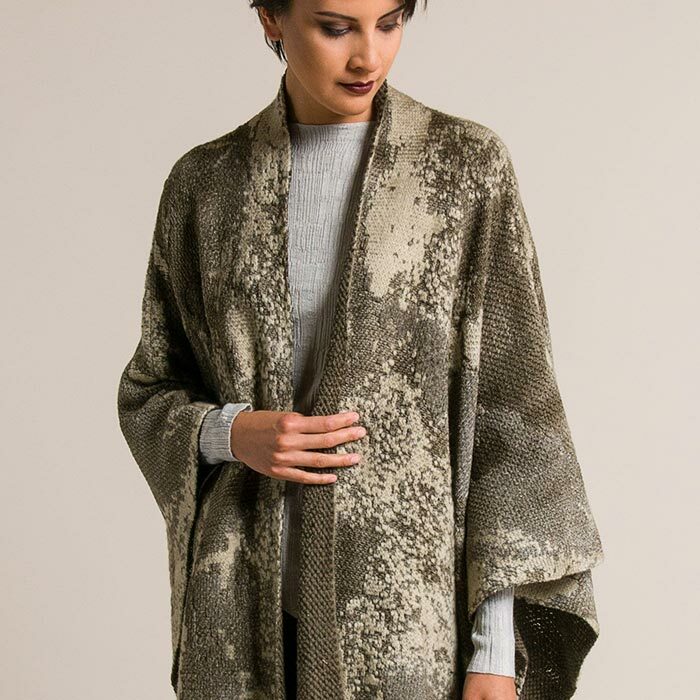 Jacquard and distressed cashmere, wool, and silk and textural in abstract forms. In particular, the Avant Toi Jacquard Poncho resembles the surface of the earth’s land and ocean. It is both a familiar and distant beauty that only a few have viewed in person.